Tech giant realigns its mobility strategy in light of challenging market conditions. Microsoft’s new focus on enterprise smartphones has been deemed “better late than never”, as the tech giant realigns its mobility strategy in light of challenging market conditions. As reported by ARN, Microsoft announced a further scaling back of the mobile phone manufacturing business that it acquired from Nokia in 2013, laying off 1,850 workers and taking an impairment charge of around $950 million. Following the sale last week of Microsoft’s feature phone business to FIH Mobile and HMD Global for $350 million, moving forward, Redmond will be focusing its smartphone business completely on what it refers to as the "commercial segment". 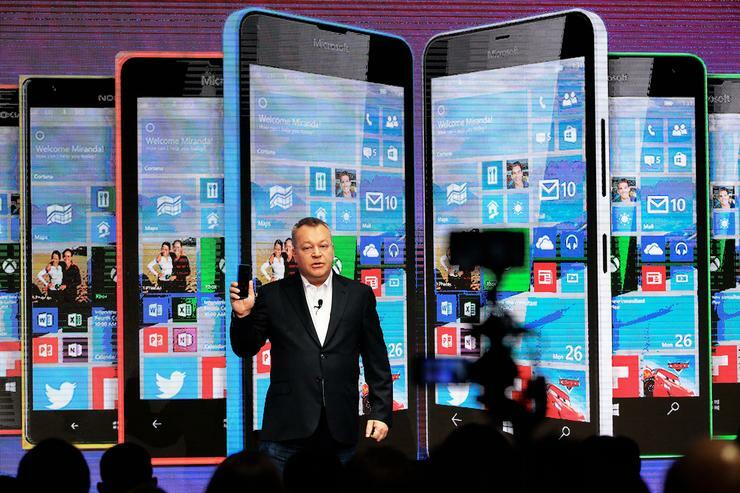 “Ever since Microsoft took over Nokia's mobile phone business, as one of the final acts of Steve Ballmer's reign, its smartphone strategy has been too ambivalent to succeed,” IDC VP of Mobility, John Delaney, said. “Microsoft has neither made a wholehearted commitment to driving mass-market uptake, with commensurate levels of resource and senior management buy-in; nor has it focused solely on the market segments in which the strengths of its smartphone offering play most effectively. In short, Delaney believes the decision is the “right one” for Microsoft, with the mass market for smartphones moving beyond its grasp now: it is an iOS/Android duopoly. “The enterprise market, though, still offers potential opportunities for Microsoft, if it addresses them with sufficient vigour,” Delaney added. “The things that enterprise buyers look for in a smartphone are very different from the things that consumers look for. For Delaney, the key advantage of Windows for enterprise buyers is that it is available in a consistent form on both high-end and low-price devices. But although Microsoft's decision is the right one, Delaney believes it's also one that should have been taken sooner. “Microsoft has missed out on most of the opportunity that arose during the past two years as a result of enterprises moving away from BlackBerry as their standard smartphone, and looking for something to replace it,” he said. According to Delaney, high-priority actions include creating partnerships with the leading vendors of enterprise mobility management (EMM) software, to strengthen the manageability proposition of Windows among organisations that are using those vendors' products. In addition, Delaney points to a re-alignment of the vendor’s distribution strategy, designed to focus on the smartphone channels used by enterprise procurers. Coupled with a high-profile marketing campaign aimed at the target segments, most crucially of all: Delaney believes Microsoft must “do whatever it takes” to ensure leading enterprise ISVs (Salesforce, Oracle, Sage, etc) build and maintain Windows Mobile versions of their application software. “We believe that Microsoft's decision is necessary (albeit overdue), but we also acknowledge that it is a painful one,” he added. “The loss of 1,850 jobs is no small matter, and it is a sad denouement for the story of the Finnish mobile phone powerhouse that was a groundbreaking and innovative player in its prime. Read more ​Is Cloud a race to the bottom, or to the top?